The high temperature submersible pump is composed of two parts: a three-phase asynchronous motor and a water pump. 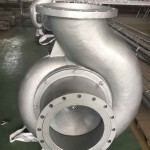 The motor is directly connected with the upper pump body, and the upper end of the motor shaft is provided with a firm shaft sealing device, which can effectively avoid the communication between the coolant in the motor and the pumped medium, and ensure the long-term safe and reliable operation of the pump. The submersible motor is a submersible asynchronous motor for water-filled wet and vertical wells. The motor and water pump are directly connected through the barrel coupling. The motor winding is a high temperature resistant nylon sheathed polyethylene water resistant magnet wire with a maximum temperature resistance up to 150 °C. 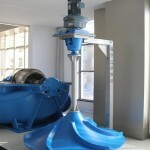 It is an essential equipment for extracting high temperature water. It is mainly used for underground water intake and district heating. It can also be used in pools, water tanks, and pressurized applications. 6: The crew must completely invade the water. 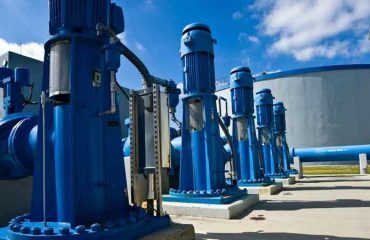 For vertical application, the type of well diameter and pump should be matched when selecting the type. It is forbidden to use small diameter pump for large diameter diameter hole, which is not conducive to heat dissipation of the motor.